Join us on Sunday, April 28 • Noon to 4:00 p.m.
As part of our efforts to fulfill the seventh cooperative principle, concern for community, we look forward to hosting our annual Earth & Energy Day celebration for you. Be sure to bring your family to John Geller Park on Sunday, April 28th from noon to 4:00pm. Along with several community partners, we will provide our members with a FREE day filled with great educational activities focused on earth science, conservation, energy efficiency, recycling, safety, and much more! Pick up a tree, lunch, and a bag of goodies while supplies last. FREE event for members of The Energy Cooperative and their families. Bring a copy of your bill or the ticket in the newsletter for entry. April is National Safe Digging Month, an event that reminds excavators and homeowners to contact OHIO811 before digging to avoid injuries or fatalities that could result from striking a utility line. While this year started out cold and blustery, Punxsutawney Phil predicted spring is heading our way. As warmer weather moves into Ohio, it is the perfect time to remember why we call 811. Before you begin outdoor projects (landscaping, installing a fence, installing a new mailbox, or building a deck) it is essential to know where the underground utility lines are located. Don’t make a judgment call. Always contact OHIO811 before you dig. Contacting OHIO811 is not only for your safety– it is also the law. An underground utility line is damaged once every six minutes in the United States. This is often because someone made the choice to dig before the underground utilities were marked. The Common Ground Alliance (CGA) association reports an estimated 439,000 excavation-related incidents that caused damage to underground facilities in 2017. This increased 5% from the previous year’s findings. Digging without knowing the approximate location of underground utilities can result in damage to gas, electric, communications, water, and sewer lines. This damage can lead to disruptions in service (something we try to avoid) but can also cause very serious injuries or death to the person digging. Experts predict approximately 38.6 million people will dig this year without first having underground utility lines marked. This is especially dangerous because the ground underneath us covers an incredible amount of buried utilities. There are more than 20 million miles of underground utility lines in the United States. That equates to more than one football field’s length (105 yards) of buried utilities for every man, woman, and child in our country.  The Energy Cooperative maintains 1000 miles of natural gas distribution pipeline, 155 miles of natural gas transmission pipeline, and 742 miles of underground electric lines. Our lines could literally be in an area where you want to dig. Contacting OHIO811 gives us, and other utilities, the opportunity to show you where they are located before you dig. When we mention the electric grid, perhaps you think of large towers and transmission lines that intertwine across the United States to deliver generated electricity for the power companies. Well let’s narrow that picture down a bit to the system that directly serves you. Let’s talk about our system at The Energy Cooperative. Grid resiliency means several things to us. Simply put, it is the reliability of your electric system. Resiliency is our ability to efficiently restore power to you. It ensures we can meet the demands of new technology, and that we serve our members with various generation sources without skipping a beat. Ultimately, resiliency is how we deliver on our promise to provide you with safe and reliable energy. Let’s talk a little bit about the leading cause of power outages on our system, and across the United States– weather. When it comes to having a resilient electric grid, it begins with a system that is designed and built to withstand certain wind strengths and ice loading for the areas being served. Currently we review our electric system for lines that don’t meet those standards as well as our aging circuits that do not meet our design. We identify ways to back feed, isolate or tie circuits together to minimize the exposure of an outage to the members. Resiliency includes reconstitution and general readiness such as pole and line maintenance programs, vegetation management programs, and participation in mutual aid assistance. Until recently, most cooperatives were aware that members had lost power when the member called to report an outage. This can result in a delayed and inefficient response due to having incomplete information about the outage, its location, and the extent. This year we will begin replacing our AMI meters with a Smart meter that has outage notification capabilities, which make it possible for the cooperative to know when the member has lost power, pinpointing the location and extent of the outage. This new meter will also alert us when the members power is restored after an outage. Coupling this technology with SCADA (Supervisory Control and Data Acquisition) points in our substations allows The Energy Cooperative to save both time and money by having the capability to remotely monitor, open and close devices in a safe manner resulting in significant improvements in our restoration efforts, giving us the ability to deploy crews more efficiently. Since being elected a director of The Energy Cooperative, I’ve come to learn and respect the cooperative business culture. This includes its governance (Code of Regulations and Articles of Incorporation), its seven guiding principles; director education programs; and retraining programs to keep directors up-to-date on numerous issues that confront cooperatives on a monthly basis. The leadership of our board, the management team and our employees professionally carry out their duties each and every day. Additionally, many have accepted responsible positions throughout our member communities, the state-wide cooperative, Ohio region 4, and on national cooperative boards. The board works hard to carry out what is espoused by W.H. Dankers, extension economist in marketing at the University of Minnesota and entitled, A Cooperative Director’s Pledge. We are not perfect, but I believe The Energy Cooperative’s Board of Directors strives to fulfill the pledge. The Energy Cooperative is working to share an important message to ensure everyone working on (or near) the road makes it home safely. Ohio’s Move Over Law requires motorists to cautiously shift over one lane — or slow down if changing lanes is not possible — when passing any vehicle with flashing lights on the side of a road. The original law took effect in 1999 to reduce risk to law-enforcement officers and emergency responders. It was expanded in December 2013 to apply to every stationary vehicle with flashing lights, including road construction, maintenance and utility crews. What if I can’t move over? The law recognizes that sometimes it is not safe or possible to move over because of traffic or weather conditions or because a second lane does not exist. In those situations, slow down and proceed with caution. Watch for people or objects that could enter your travel lane, and be prepared to stop. How does the Move Over law differ from yielding the right of way to emergency vehicles? Yielding the right of way to an emergency responder requires you as a driver to pull to the right-hand side of the road and stop when a law-enforcement officer, fire truck, ambulance or other emergency vehicle approaches using a siren, lights, or other warning devices. You must wait until the emergency responder(s) has passed by before you can resume driving. Are you ready for extreme cold? As temperatures go below zero this week. Here are some tips from FEMA to keep you safe. Wear layers to prevent frostbite. Frostbite causes loss of feeling and color around the face, fingers, and toes. Signs: Numbness, white or grayish-yellow skin, firm or waxy skin. Actions: Go to a warm room. Soak in warm water. Use body heat to warm. Do not massage or use a heating pad. Hypothermia is an unusually low body temperature. A temperature below 95 degrees is an emergency. Signs: Shivering, exhaustion, confusion, fumbling hands, memory loss, slurred speech, or drowsiness. Actions: Go to a warm room. Warm the center of the body first—chest, neck, head, and groin. Keep dry and wrapped up in warm blankets, including the head and neck. Your local government agencies (county sheriff, health department, emergency management agency, and more) often provide guidance during storms. Visit your county government’s website or social media pages. You can also visit the Ohio Emergency Management Agency (EMA) online for statewide information. Build an emergency car kit. In addition to keeping those cell phones charged, gather supplies in case you need to stay home for several days without power. Keep in mind each person’s specific needs, including medication. Do not forget the needs of pets. Have extra batteries for radios and flashlights. Older adults and young children are more at risk in extreme cold. Do you have enough food, water, medications to last throughout the storm? Are you using a space heater? If yes, make sure it has an auto shut-off in case it tips over. Also keep anything that can burn at least 3 feet away from a fireplace, wood stove, or space heater. Do you have an emergency kit in your car? Is your gas tank full? Todd Ware, President & Chief Executive Officer of The Energy Cooperative recently stopped by Genesis Health Care in Zanesville to donate $5,000 on behalf of the cooperative’s, “Energy to Help Find a Cure” program. The donation was made to the Genesis Health Care Foundation requesting the money be donated to their Cancer Care Services unit. The Energy Cooperative is guided by Seven Cooperative Principles, one of which is Concern for Community. As part of this commitment to community, the cooperative has three delivery trucks with special colors and decals. The Cooperative donates $0.01 for each gallon delivered from these trucks to charitable community groups. The pink and lavender trucks promote cancer awareness. The red, white and blue truck is in support of veteran affairs. The Energy Cooperative proudly supports member communities one penny at a time. The $5,000 donation was funded from The Energy Cooperative’s lavender propane truck that supports cancer awareness, research, and treatment. For every gallon of propane delivered by the lavender truck, the cooperative donates one cent to local cancer organizations. The goal is to enable oncologists and cancer researchers to pursue promising new ideas, create new knowledge and ultimately develop new methods of cancer prevention, detection, diagnosis and treatment. As a Cooperative member, you have a voice in how your Cooperative is operated. The Board of Directors that manages the business and affairs of the Cooperative is elected by you, the member. Elections for The Energy Cooperative’s board of director positions are coming up soon. You will receive this year’s ballot by mail in early April. The results of the elections will be announced at the annual meeting on May 20, 2019. This year we will be introducing electronic voting, which will allow members to vote for board of directors candidates online in addition to traditional mail-in paper ballots. The Energy Cooperative is working with Survey & Ballot Systems to offer electronic voting to make it easier for our members to vote. Electronic voting is a secure and easy way to vote. All members will receive a paper ballot by mail that will include a special code for voting electronically, giving members the option to vote online. You can easily vote through SmartHub or The Energy Cooperative’s website. Members will still be able to vote by mail-in paper ballot. More information about electronic voting will be available soon on our website and by mail. If you have any questions regarding electronic voting, please contact our member services department at 1-800-255-6815. This year the Board of Director seats in Districts 3, 4 and 7 are up for election. To find out more about the Cooperative Districts, visit myenergycoop.com/board-of-directors. A letter will be mailed to all members in these three districts in January with instructions on submitting recommended nominations. If you would like to run for the board or know someone who you feel is qualified, please send in the postcard from the letter for their nomination. The candidates will then be interviewed by the nominating committee in late February or early March and, if nominated by the committee, the candidate will be added to the ballot. To run for the board, you must be an active member for the past three consecutive years and reside in the district you plan to represent. Additional qualifications and information on running for the Board are provided on our website and in the Code of Regulations. If you have any questions regarding the election process, please call our member services department at 1-800-255-6815 for more information. We appreciate and value the investment that you make in the The Energy Cooperative each month, and we strive to use that investment wisely for the benefit of all members of our community. Twenty eighteen for Licking Rural Electric, Inc. (LRE, Inc.), dba The Energy Cooperative, is now in the books. Last year the weather was a bit more seasonal with winter temperatures a bit colder and summer temperatures a bit warmer than it has been in recent years. The “normal” temperatures make it easier to forecast and even maintain our budget the following year. The President & CEO and his staff spend many hours reviewing trends and assumptions that help predict revenues and expenses. Budgets are prepared for Licking Rural Electric, National Gas & Oil, (NGO), NGO Transmission, NGO Propane, NGO Development and Producers Gas. The budgets are then presented to and approved by the board of directors. In fact, budgets were reviewed and approved at December’s monthly board meeting. In this edition of the newsletter, Vice-President & CFO, Pat McGonagle talks about natural gas prices rising 48% at the end of 2018. How can utilities predict that dramatic change in the market? They can’t, but they can manage gas purchases and storage to help moderate the dramatic change in pricing. See Vice President & Chief Operating Officer, Dan McVey’s article on how we store and manage the supply of our natural gas. This is a crucial part of our financial strategy when trying to keep gas rates as low as possible while maintaining an adequate supply. As we get started in 2019, I want to assure you that Todd Ware, President & CEO, his staff, and your Board of Directors are working hard to manage the short and long term financial stability of The Energy Cooperative.